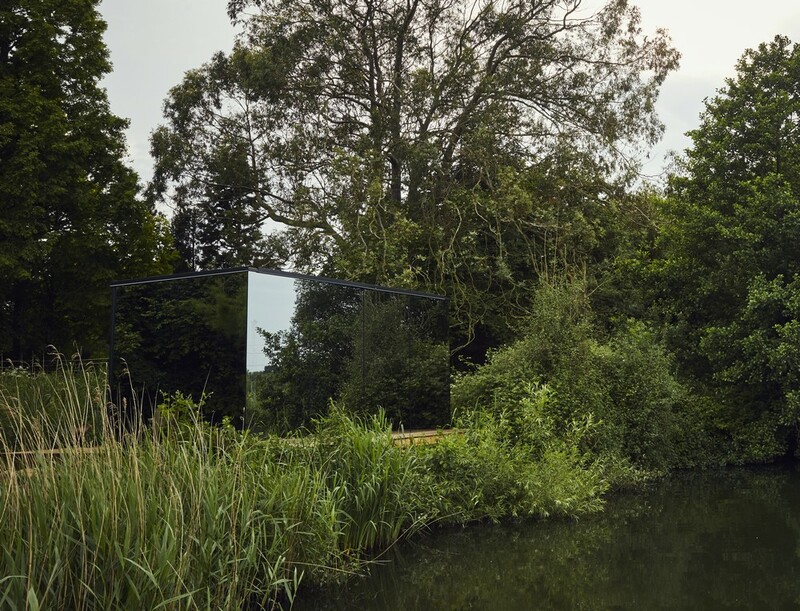 of a new stunning, mirrored building to our collection. Providing a striking backdrop to the event, the glass-fronted ‘ÖÖD’ house wowed our VIP guests, clients and staff as they enjoyed an evening of wine and canapés at Lime Cross Nursery in Herstmonceux. 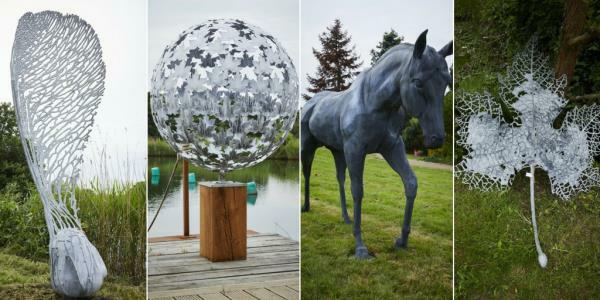 Exclusive paintings and sculptures were also on display as potential customers viewed the impressive ÖÖD house for the first time. Developed by Estonian company ÖÖD- and now exclusively distributed and assembled by ourselves in the UK - the 18/m2 mini dwelling was originally envisaged by its creators as a pop-up hotel room, Airbnb pad or standalone guest accommodation for homeowners. But keen buyers have already been using them in a number of creative ways from offices to teenage dens to yoga spaces. The first ÖÖD house in the UK will now remain in situ at Lime Cross Nursery for potential customers to view, or even stay in before purchasing. The buildings feature a steel frame, insulated glass and thermally treated wood. The standard interior offers a studio layout with a kitchenette and bathroom. Typically ÖÖD houses are hooked up to water, sewage, and electricity supply, but off-grid capabilities are under development. The houses are now available to purchase for £55,000 plus VAT, with a limited supply for the first few months. “We are really excited to add ÖÖD Houses to our collection as their only UK distributor and perhaps unsurprisingly they’ve already proved very popular. “It was clear at the launch that these glass-fronted houses really have the wow factor and could be used for many purposes from pop-up accommodation to garden rooms to offices… they were generating a lot of excitement. “They blend beautifully into any setting courtesy of the insulated glazing that covers the front and side while the rear elevation features eco-friendly thermo treated ash cladding, which also cleverly conceals a service void.